What are the key functions of a board and why should entrepreneurs put one together? When is the appropriate time for a startup to begin assembling a board? What is the ideal makeup of the board at the early stages… how many members and what roles? Who or what type of individuals should entrepreneurs recruit when creating a board for their business? What types of decisions should they be included in, and what decisions should they not preside over? If the founder needs to pivot the business and it’s a significant orthogonal pivot, is that something the board would vote on as opposed to a tangential pivot? Nick: Today Mahendra Ramsinghani joins us from San Francisco. Mahindra has over a decade of experience mentoring, advising and investing in early seed startups with over fifty investments completed. He’s also author of the business of venture capital and is co-author with #Brad Feld of startup boards; Getting the most out of your board of directors. Mahendra, thank you for joining us. Mahendra: Thank you for the opportunity Nick. Nick: So before we jump into the topic, do you mind giving us an overview of your background and how you got involved in venture and venture capital? Mahendra: Sure. For me the entry into the world of venture capital was a series of accidents. I know a part of it was luck. I don’t think I was prepared but I attribute a lot of my progression just to timing and some hard work. When I moved to the United States, this was about fifteen sixteen years ago, I said the first thing I need is a place that is going to sponsor my visa. You know, that’s the biggest challenge all immigrants have is, you may be qualified but if nobody’s willing to sponsor your work visa for you those qualifications are no good. Mahendra: And so fortunately, I found an opportunity with the state of Michigan. They were looking for somebody with a business background as well as a technology background to help diversify the state’s economy. As you know, Michigan’s economy’s really heavily dependent on automotive sector and my background, my engineering was in electrical engineering and then M.B.A. and when I presented my credentials and said, “You know, I can help think to some strategies and diversifying into technology sectors..”, I was given that opportunity and very quickly, in the first three to six months of doing the research it became pretty evident that for growth of technology companies we need this thing called venture capital. It is very interesting but nobody knows what quite that meant and so that is how… When I presented my findings to my boss then you know, a very followed looking entrepreneurial guy in the state government; #Michael Finnie, Mike said that all of this is very interesting about growing the technology sector but let’s figure out what this whole venture capital thing is. And that’s how I started you know, then trying to understand what exactly engines do; how exactly funds are constructed; what do fund of funds mean and then is there a rule for us to stimulate those three layers. That’s how I dipped my toe into the venture capital waters. Nick: Yeah, I read a little bit about your involvement with the #Michigan Economic Development Corporation. Were you doing venture capital work with them or how did you integrate with that organization? Mahendra: When we started, we didn’t know what we were doing you know. We wanted to play a role and the like everybody else, we had good intentions. We didn’t quite have a plan and then there were some who are very skeptical especially when you lean to one side of the capitalistic mindset. They would like you know, “There is no role for the government here you know. You’re wasting your time.” And then on the far end of the other end of the spectrum, you had sort of all entrepreneur and people who are just getting their companies off the ground saying, “Yes! We’d love for you to play a role. Oh, by the way, can you put two hundred fifty thousand dollars into my company tomorrow?” And so it became very evident to us that okay, you know if I look at the spectrum here, on one side I see a lot of demand from the entrepreneur side… At the end of the day we’re all serving those crazy ones, right? The government be at angel investors like you; be at the institutional investors VCs I think all of us are serving the entrepreneur. Mahendra: 3:43(unclear)… evident that we have to do something to serve the entrepreneur and what exactly that means. Took us about a year or maybe longer to figure out that we could have a three pronged strategy. We need to help some angel groups get off the ground and what we did was we gave the ground to two separate groups to say, look if you meet on a regular basis, if you give the entrepreneurs a forum or a platform to present their opportunities, we will underwrite your operating costs. As a result of that, there is a group called #Grand Angels and Grand Rapids that got started. Mahendra: Think our first grand to them was like sixty thousand dollars to pay for part time sort of manager who will run the meetings and #Jody Vanderwell who is still doing it now you know, after what about eight, nine years. Then we eventually had lunch and then we sort of very quickly wrote them a check; and so that’s where we said a started to play with the Angels. At the fun level, we gave two grants to the two separate funds to underwrite their marketing and legal expenses with their affirmation being that they’ll each go out and raise a fifteen to twenty million dollars fund and that’s how the fund level activity started. Then when we saw some of this fund level activity starting, then we started to make L.P investments in these funds. So we did four such investments back then and when all of that was beginning to work we said, “Oh! Maybe we should do a fund of funds.” and that’s how we got to legislation passed. (Unclear) was then hired as a fund of funds manager and that was like a two hundred million dollar program that got things rolling. I left the state after about seven and a half years into it then for me, the trigger point was the day the fund of fund was launched I said, ” OK. I believe my job is done.” It was a long hard slog and I now need to go into some direct investments or go back into the entrepreneur a world where I had originally sort of cut my teeth. Nick: Got it. Fascinating topic the government side of investing will have to dive into that another time but today the topic is startup boards and board strategy. Mahendra, can you start us off by talking about why entrepreneurs should put together a board and maybe highlight some of the key functions of a board? Mahendra: Yeah, that’s excellent question. When I look back at some of the seed stage investments we made, when you had entrepreneurs that would of two, possible three different kinds but I’ll sort of focus on the bookends of the spectrum. The middle of the road you have a lot of smart people who know seven to eight out of ten things, they do them really well but in the book ends I saw two kinds of entrepreneurs; one was a kind of entrepreneur who was very savvy, very smart. They did not need any help whatsoever. In fact, all they needed was money and then get out of my way. I’m going to build this company.” and you know they were very accomplished. They did those things well. On the other side of the spectrum, you had entrepreneurs who are smart, bold enough to start a company but they did not quite understand the dynamics of an investor relationship. And so in that end of the spectrum, there were some entrepreneurs who would call me saying, “Hey, can you take a look at my logo and tell me of the colors look okay?” Or in another case, one entrepreneur reached out to me and said our website is up. You like writing, do you mind taking a look at our content and editing it for us?” So some would like the extremes were very interesting. The entrepreneur was very confident, just went and did their own thing but the entrepreneurs who felt like they wanted to keep the investors involved asked for a lot more and that sort of got the talk process going that, what exactly is a board? How does the entrepreneur know what the investor relationship should look like? Why do they feel beholden at times into asking a lot of questions when they themselves know the answers. And so, that was sort of the trigger to say, there is an opportunity here to do something to help entrepreneurs think through boards and what is a good time to start putting together a board and why is it important to manage and engage with this board in a thoughtful way. 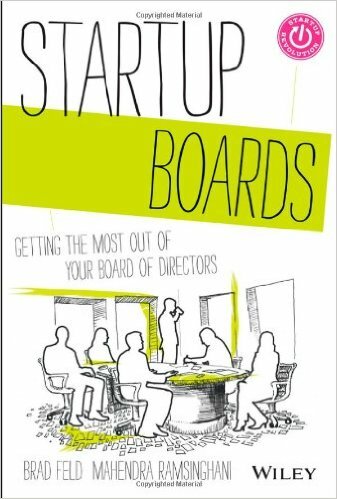 So there is no good time, the earlier the better that entrepreneurs start thinking about boards and more importantly start to train themselves on how it is an appropriate way to engage with the board. There is a lot of work to be done on that side and entrepreneurs don’t necessarily invest a lot of time on that side and I feel like this is a constant training ground for both investors as well as entrepreneurs. Nick: What are some of those key functions at an early stage that the board is responsible for? Mahendra: So I’ll break the answer down into separate parts here Nick. One, assumption I’ll make is that there are companies that have not raised an outside capital. Okay, so be it Angels, be it institutional investors, companies just getting started. Who has time for a bore? Let’s just build our product, you know. Mahendra: Let’s just build our product. Let’s call that company A and then there’s the company B which is sort of raised a small maybe angel round, seed round. Not a formal VC seed round because at that point the board is sort of formally constituted by the investors. So if you look at a company A which is no outside funding, couple of entrepreneur very eager and enthusiastic to build their company, their motivation to build a board and some of the value they can extract from a board could be the making sure that a) they’re solving the right problem. Making sure that they’re asking the right questions as they progress down the path. There is no easy formulaic approach but many times we’ve seen both you and your investment partner Nick, I’m sure you’ve seen the and I’ve seen this, most investors have seen this is that when companies get started, there is this huge surge of enthusiasm. You feel invincible as an entrepreneur. You feel like wow what a great opportunity. We need to run at hundred miles an hour and conquer this 9:29 (unclear). Nick: Yeah. Pre- seed optimism, right? Mahendra: Exactly! Pre-seed optimism. That’s a great term, I’m going to come to use that. Pre-seed optimism sometimes cloud some of the fundamentals you know. So when you look at #Steve Blank’s books around the business canvas, I mean it forces you to look at those nine categories in a very disciplined way and if you don’t follow that discipline, what ends up happening is you spend a lot of time and effort and then you sort of reach this month twelve in the journey and then you realize that, “Oh Sh*t! We’ve been wasting a lot of time…” and we’re not solving the right problem. If you create a board and in this case, there is no formal board that is no three hour board meeting atmosphere and you start with the minutes and approves etc. It’s a very informal… I mean I’d almost call it a group of mentors that you were surround yourself it and just ask questions you know. Just make sure that you report your progress to them and ask them good questions and when you do this every month, let’s say fifteenth of every month I’m supposed to sit down in front of the Nick and it’s informal coffee; Nick doesn’t own any equity in my company but just the fact that I’m reporting to an outsider every month, forces you to then do things in a certain, show process in a certain way and that is the core off a good board relationship. It should force you to do things in a disciplined manner that you would otherwise not do. Nick: Right, right. Almost like a mastermind group and you got to bring you’re KPIs and your metrics and you’ve got to be able to deliver them in a repeatable way so that your audience can understand where you’re at and if you’re making the progress to your plan. Mahendra: Exactly Nick and you know the other part of this is that, being comfortable enough to ask questions. Being comfortable to say, “The Company is really struggling with this problem and here a couple of variations have tried. I just don’t know. We’re not making good progress and sort of having some degree of self-confidence to feel comfortable in asking questions about the unknown or even talking about the mishaps or failure or pivots, you know. So, every start goes through this but for some reason for some entrepreneurs feel like, “Oh, you know I’m going to look pretty lame if I start to talk about my weaknesses or my failures” and so the K.P. I sort of you know, put that in the logical side of your brain. That sort of your Excel spreadsheet mindset and that’s what drives Metrics but then you have the emotional side of the creative side of you that often struggles with things and does not know all the answer and sort of a good blend of those two dynamics need to start and that’s where is that I feel like good board relationships, good mentor relationships trigger into this wonderful journeys where both sides are learning. Nick: It seems like it depends on what type of startup in what type of entrepreneur is working on the startup in order to drive the decision for a either a formal board or an informal board but if we’re talking about more of the formal variety, when is the appropriate time for a start up to put together a formal board with directors and such and is that related to investment capital coming in? Mahendra: They should not be necessarily related to investment capital coming in because this is like a coach, a trainer. If I decide to run a marathon, I want to have somebody that watches my regimen, my training, my diet. In a different world you want to have a small group if it’s a start up that watches and helps you along the way. Now, you have to be cognizant of the fact that once institutional round is closed, let’s say a C.D.C., the C.D.A The investors will want of course a preferred share, class is created, you have board seats and the investors typically like to have somewhat of a majority play at the board and of course now things have evolved quite a bit so at a seed level, you’ll have difficulty three board members: one for the investors, one for the founders and one maybe an independent. So even if you don’t have an investment capital, getting a board early on is always a good idea but be cognizant that once you rise around, there will be some shuffling that will occur and so many expectations of those board members that with a few days around you may have to step down or you may be in observer mode as opposed to a full board member mode. Those things need to be managed just early on as you include your board members but in my opinion, it’s always great to have a small group of all the mentors, advisers or formal board that helps you to track your progress. Nick: You mention that three board make up of investors, founders and Independence. What are some of the common make ups that you see two, two and one and who on the board actually has voting authority versus who doesn’t? Mahendra: The answer to a question, it becomes really easy if you resume a post investment stage. If seed investor has put in let’s say a million dollars in a million five round and the other let’s say five hundred thousand dollars is come from a group of individuals, angels and family and friends. So in that situation obviously the largest investor would be chairman of the board, chairperson of the board. The angels might have an observer all or another seat and then you have the founders sort of being represented by one seats. So typically it might be the C.E.O. or one of the other founders have taken that role. So that’s a really easy scenario post investment. Pre investment I feel like entrepreneurs should have other entrepreneurs who have walked the same path but there are ten steps ahead of your time. So for example, if you’re getting started but you know an entrepreneur who has a raised CDsB or CDC in a similar domain or somebody was sold a company successfully and those become your ideal board members, you want to have at least one or two of the of those and then have somebody who may be a good coach. A good you know, emotional balance to some of the hard charging dynamics that come with former entrepreneurs. 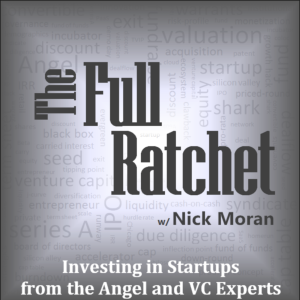 Nick: So do you find that will be seeking out investors as well as independents that maybe have to domain expertise in whatever vertical or theme they’re addressing with the startup? Mahendra: …and then when that around is close they realize that, “Oh, this money comes with this person and this is a marriage that I’m going to be forced into and oh by the way, I cannot divorce. I’m bound by this shareholder agreement.” The first chapter of that #Brad and I put together for startup of boards was sort of turning the whole thesis on its head. She’s use to write people first. Ideally, you want the same; people to be in funds and managing money so that your journey becomes a lot easier but there is absolutely no compromise to the quality of people you know. Their intellect, their emotional quotient and the way they will help you is going to be far more important than just the capital. Nick: Yes. So, aside from the advice piece you know Brad knows has deep domain expertise in a variety of things, was just talking to an investor today about his expertise in A.P.I.s and I think he’s the only blogger out there that has an A.P.I. specific subject area but beyond just advice in a specific deep area, why is it a big advantage to have somebody on your board that knows the sector very well? 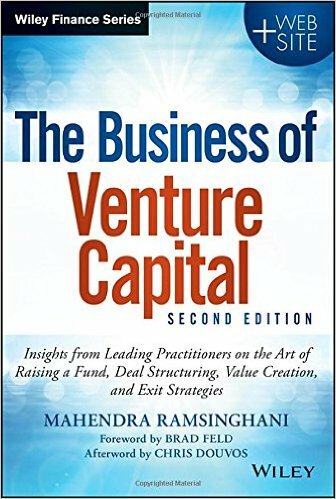 Mahendra: If you bring this down into the sets of problems that a startup will have in its first twelve to twenty four months, there will be two kinds of problem. One, is just making sure. M.V.P. is being designed in the right way so that our technology related questions that will come up. Now, obviously the founders have a good understanding of both the problem and the skills to address those features are M.V.P. in some ways, having somebody who is an outside looking lens is very important because I mean let’s face it Nick, most startups are two or three co-founders. They’re all inward looking. They’re all a setting and coding deep into the night. They’re not spending as much time outside talking to potential customers, potential users; finding how things will be integrated; how things will be used. It is important to have somebody who has got an outside looking view. Now, in some very good teams have seen that, that at least one of the three person team is sort of very outward focus, outward looking; is constantly talking to customers making sure the tasks the features etc, etc are being design in a very thoughtful way but the vast majority often end up with inward looking team and so you need somebody who is going to explain or engage with the customer problems well enough to advise the team to say, ” Yeah, these four features are important but out of these four, these two are really important so your M.V.P. should be focusing on these two. Mahendra: So there is one. The second piece is just having access to your data customers. Other subject matter experts; be the coders; be there product market fit experts; having access to a wider network of people that these founders could talk to early on just as maybe friendly and these could be coffee meetings are Skype’s just to assess or validate the pieces and those are areas that become important for the first twelve months and then from that point on you start to raise money, so you need access to investors and what your pitch deck should look like and what the story line should look like etc etc. So, I think in those early stages you know, having access to people who bring those set of connections an attribute in a technical pre investor relationships. Maybe some data size becomes important. Some are critical and so that’s where looking at these relationships becomes important. You know, after the investment is raised of course the dynamics change. Now you’re looking for customers; you’re looking for other types of relationships mostly from a customer standpoint or hiding your BD guy and so that’s where sort of the shift occurs in what you expect of your board in phase one of the relationship versus phase two of that relationship. Nick: Gotcha. Yeah, 19:39 (unclear) a deal for a cyber security start up with another investor is a cyber security expert. I spent over fifteen years at #Bessemer and so he’s providing tremendous inroads for that start up with series of investors to get clarity on what those milestones are, what they should look like and how they should position themselves and grow in order to secure that an investment. 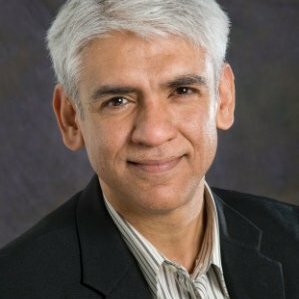 Mahendra: Yeah, it’s interesting that you bring up this vertical that I’ve so chosen to focus on as well over the past three years now and I’ve learned a lot about what cybersecurity 20:16 (unclear) of innovation funds; how new technologies are coming up? ; the challenges that are being faced on the buyers side; all the seeds sews you know, the chief information security officers, what kind of challenges they’re facing and then the third leg of the stool being, what do investors expect? You know, when a seed company is being shopped on sound of the road on getting ready to raise the seed round you know, there’s a set of baseline expectations investor have and then when the seed ground is closed, the investors want to see something happen between post investment to the first twelve months because that flow will set the stage for CDsA and so all of this market knowledge becomes from tremendously valuable for entrepreneur and some of the teams that I’m working with, you know I’m sure you’ll also see with some of our friends at Bessemer you know, #David Cowan and Suniel James is all the other people there are highly accomplished group of cybersecurity investors, that they will coach these entrepreneurs along those lines to say in twelve months when you get ready to raise five to ten million dollars CDsA, We need to make sure that you at least have X number of customers Y number of revenues etc., etc… And that market data is incredibly valuable for every entrepreneur. Nick: Regarding the board itself, what sort of decisions should they be included in and what decisions should they not preside over when it comes to certain actions that the entrepreneur may be taking with the startup? Mahendra: Excellent question Nick. Classic conundrum for a first time C.E.O. is to know whether you should put this on the agenda for a formal board discussion or should I just have informal board conversation, a one on one conversation with one of your board members. So, I think that the simple way to look at it is that anything that impacts the equity and anything that impacts operations is a C.E.O. decision. So let me expand on that a little bit. The C.E.O. decision on the operational side obviously building the team; making sure the product road-map is on plan; making sure your financial budgets and expenditures are not getting too out of whack; identifying customers; going after the customers etc. etc., all of that sort of fall under this operational umbrella. Mahendra: Now, there is a competence of this that the board needs to be aware of. The board may not want to control but the board needs to be aware of those companies like Ram Hama hiding this V.P.F. sales because of these reasons you know. The product is ready, this person who got excellent credentials and they are very valuable at the stage of the company. So that is not necessarily a full-fledged board approval but it is a board discussion item. Just get the blessing so that way, you know things can run smoothly. 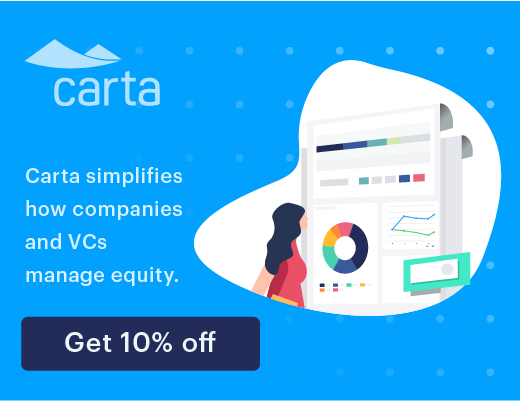 Now where the equity side comes in, is where let’s say you want to raise another round; let’s say you want to raise some form of venture back, which is a going to impact the balance sheet if you will. Anything around financing is sort of the critical decisions that come to play; anything related to acquisitions, partnerships was going to impact the equity. And so the simple rule of thumb is that, is this going to impact shareholders? Yes. Then make sure that you check in with the board. Is this going to him back just the operations of Company? Then you make the decision yourself. Mahendra: The healthy boards, if I may expand a little bit bigger, the healthy boards have a very good dynamic where they are aware of the operations enough but they don’t cross the line. I mean, this is like a basketball coach. Their duty is to continue to coach the entrepreneur without crossing that line, without jumping in and saying, “Oh, let me make the sales call for you and while you are in the room, I the board member will do all the talking.” That is not a good sign, you know? Mahendra: And at the same time, the C.E.O. takes the responsibility of making the board aware of all the 24:02 (unclear) out there making progress. Let’s say on the budget side of your spenders going outside of some of the boundary conditions, you just make sure a board is aware and then also offer some medial measures like, how we’re going to correct this, this way and so that way there is a healthy dynamic, it’s like a parent/teenager relationship. My daughter is nine years old which in the next, you know ten fifteen years she’s going to be probably driving by herself and doing things on her own but I expect her to call me and let me know that she’s safe. There is no blood everywhere; there is no damage done to anybody and that’s the kind of dynamic I think is a healthy dynamic. Nick: Checking in every so often right.